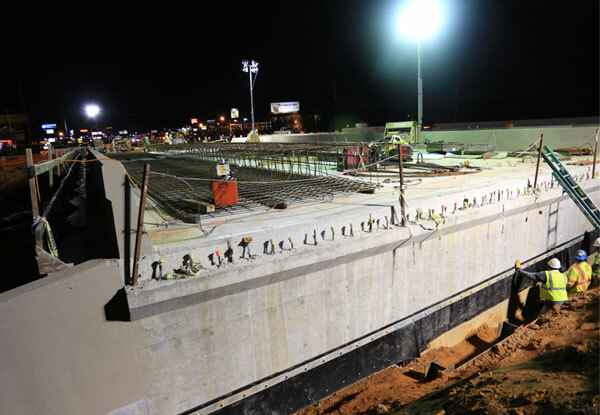 The Alabama Department of Transportation chose slide-in bridge construction for a project in Dothan to save months of road closure time and minimize traffic disruption on busy Ross Clark Circle. The slide—a first for Alabama—went so well that instead of the 14 days of road closure time planners had estimated to move two side-by-side bridges into place, crews needed just six, three for each slide. “We felt the contractor could do each slide in four or, at most, five days. However, since this was our first slide-in bridge project, we wanted to encourage future innovations and ensure he had more than enough time for the effort to be a success,” said Paul Froede, Alabama DOT engineer. Efficient construction practices and good weather enabled crews to exceed expectations on the project, said Brantley Kirk, Alabama DOT spokesperson. The project would have required closing the city’s main thoroughfare for nine to 12 months if traditional construction methods had been used, disrupting local and tourist traffic and affecting neighboring businesses. Workers excavate dirt in preparation for the Dothan, Alabama, bridge slide. Using a bridge slide minimized traffic disruption on Dothan’s main travel route. The Alabama DOT received Accelerated Innovation Deployment Demonstration funds from the Federal Highway Administration to use the accelerated bridge construction technique. The new north- and southbound bridges span a repaired box culvert over Beaver Creek engineers determined was not financially feasible to replace or extend. Crews built the bridge abutments in specially made boxes while traffic continued above, the third time this technique was used nationally. When the abutments were ready, crews constructed the bridges on temporary supports on each side of the highway, away from traffic. During two weekend road closures in winter 2016, they placed the structures on industrial-grade rollers and used powerful jacks to push them into position above the culvert. 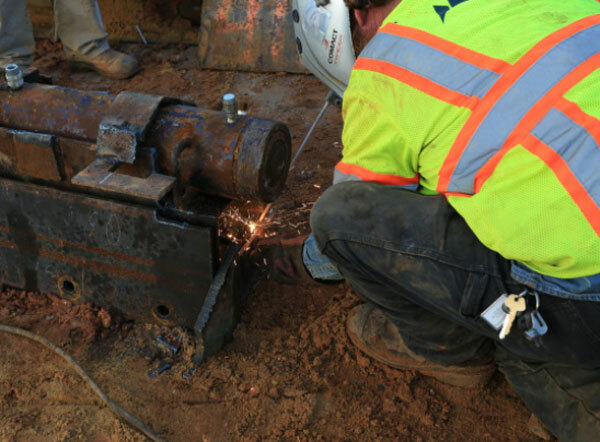 Crew member welds a hydraulic pump used in the slide. Video: See an overview of the accelerated bridge construaction process. The bridges are part of a project to widen Ross Clark Circle from four to six lanes to reduce congestion and travel time. The road was designed to handle 5,000 vehicles a day when it was built in 1955. Today, about 40,000 vehicles maneuver the circle daily. The Alabama DOT used a number of communication vehicles to keep motorists up to date on the project and road closures, including temporary roadside signs, social and local media outlets, a project website and a newsletter. It alerted mapping providers so they could update their information sites for real-time navigation systems. Video: Watch time-lapse footage of Ross Clark Circle bridge slide. The agency’s efforts to educate people about the accelerated bridge construction concept before the project began and keep them informed during construction paid off. A survey found just 20 percent of those responding were not aware of accelerated bridge construction and nearly 90 percent preferred it to traditional bridge replacement practices. About 75 percent rated the quality of communication about the project as good or excellent. “We would use the bridge-slide method again when it is determined to be beneficial to a project,” Kirk said. Now that 3D engineered modeling is a familiar practice in transportation design and construction, states are taking their use of the technology to the next level. “We’re recognizing that 3D data is a valuable asset,” said Francesca Maier, WSP|Parsons Brinckerhoff program manager. 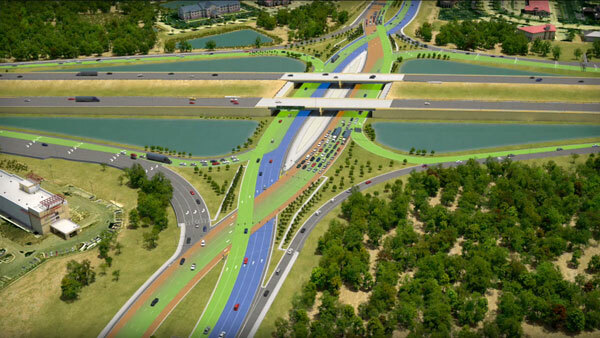 Images developed with 3D data help the public visualize projects such as roundabouts. In the third round of Every Day Counts, the Federal Highway Administration is encouraging states to expand 3D data use to other phases of the project delivery cycle and add 4D—schedule—and 5D—cost—to their modeling practices. As a result, five states are using 3D models in post-construction and program-level applications, such as creating asset inventories and as-built records. Six states are exploring 4D and 5D modeling by incorporating schedule and cost data into 3D design models to improve project management and provide more accurate cash-flow estimates. Already, 25 states and Federal Lands Highway are implementing 3D engineered models for construction or planning to make it a standard practice. Three states—Iowa, Michigan and Missouri—have mainstreamed the practice. EDC-2 helped create momentum to use 3D engineered models more effectively, especially for design and automated machine guidance. New innovations to help use model data are becoming available every day, said Douglas Townes, FHWA construction and contract administration engineer, including software advances to accommodate collaboration between partners, new specifications for quality control and better utility location data management. 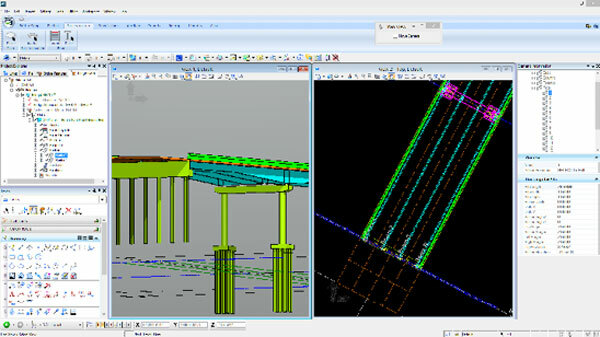 Highway agencies are using 3D modeling software to enhance bridge planning and design processes. The Connecticut Department of Transportation is piloting the use of 3D engineered models on a roundabout construction project in Seymour. The department is using 3D files to create virtual presentations for public meetings, inspect the project and produce as-built records. The contractor building the roundabout is using 3D data for automated machine guidance. The Florida Department of Transportation’s work program for 2016 to 2021 calls for using 3D modeling to design 140 projects. The designer of the I-4 Ultimate project, underway in central Florida, used 3D modeling to virtually identify utility conflicts with proposed foundation locations and visualize construction challenges in advance. All 25 Texas Department of Transportation district offices have 3D design projects underway. The agency is using 4D modeling for the first time to add scheduling information to the 3D design for a bridge replacement project on U.S. 190 in Jasper County. This will help planners better understand the project phase sequencing and avoid costly delays and errors. The Utah Department of Transportation provides information-only electronic files to contractors on projects with 3D models, a first step in its effort to establish electronic files as contractual documents. The agency is using State Transportation Innovation Council Incentive funds to document 3D decisions and processes for inclusion in a guidance document. See the 3D Engineered Models website for information on workshops, case studies, technical briefs and specifications. Watch sessions in the 3D Engineered Models webinar series to learn about creating and using 3D, 4D and 5D models. Read Guide for Efficient Geospatial Data Acquisition Using LIDAR Surveying Technology on deploying light detection and ranging technology to manage roadway assets. Contact Chris Schneider of FHWA’s Office of Infrastructure or David Unkefer of FHWA’s Resource Center for information or technical assistance. Since the nation’s first diverging diamond interchange opened in Springfield, Missouri, in 2009, 62 more have been built and put into operation in 22 states to make travel safer. Four more states have their first DDI under construction. “The recent, rapid deployment of diverging diamond interchanges across the U.S. has been quite remarkable,” said Mark Doctor, safety and design engineer with the Federal Highway Administration’s Resource Center. DDIs were one of the innovative intersection and interchange designs FHWA promoted during the second round of Every Day Counts to enhance safety and mobility. At the start of EDC-2 in January 2013, 18 DDIs had been built. When EDC-2 ended two years later, 44 DDIs were open and several were under construction. The main difference between a DDI and a conventional diamond interchange is the DDI’s use of directional crossovers on both sides of the interchange. By dividing the directions of travel and crossing them over, the DDI eliminates the need for left-turning vehicles to cross the paths of approaching through vehicles. The DDI design greatly improves traffic flow through the interchange, and the traffic signals operate with fewer phases and a generally shorter cycle length. That means less congestion and delay at the interchange. The DDI also reduces the number of vehicle-to-vehicle conflict points. That means fewer crashes, especially severe angle crashes between left-turning and through vehicles. FHWA-sponsored research that examined seven of the earliest DDI conversions in the United States showed that crashes declined at most sites. On average, researchers found, replacing a traditional diamond interchange with a DDI is expected to reduce crashes by 33 percent. Another advantage of the DDI is cost savings. Many have been implemented without replacing or widening the bridge structures in the interchange. Reusing bridges instead of rebuilding the entire interchange can save 70 percent or more. The success of that first DDI in Springfield quickly led to more, and Missouri now has 15 open, more than any other state. Utah has eight DDIs and North Carolina has seven. 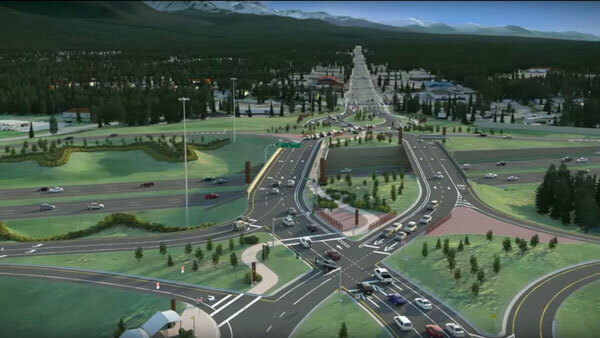 Construction is scheduled to start this year on a DDI in Anchorage, Alaska, the first for the Alaska Department of Transportation and Public Facilities. The project at Glenn Highway and Muldoon Road is expected to reduce crashes and increase traffic capacity. The Florida Department of Transportation broke ground in fall 2015 on its first—and the nation’s largest—DDI. The interchange, at I-75 and University Parkway in Sarasota, will help ease congestion and reduce crashes on one of the area’s busiest roads. In Bloomington, Minnesota, a DDI at 34th Avenue and I-494 near the Minneapolis-St. Paul International Airport is the first to accommodate a light rail line through the center of the interchange. Stakeholders—including the city of Bloomington, Minnesota Department of Transportation and Metropolitan Airports Commission—evaluated alternative ways to reduce congestion and decided a DDI was the preferred option. 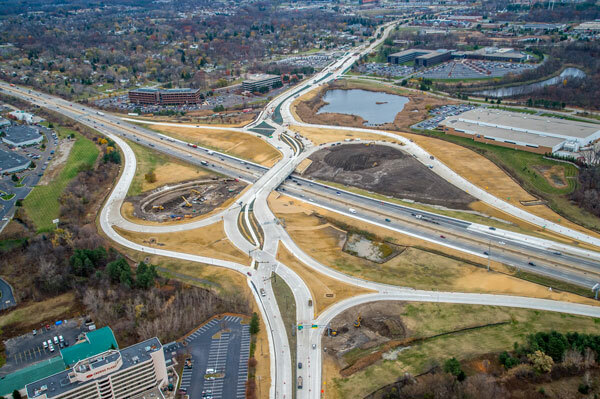 When the Michigan Department of Transportation built its first diverging diamond interchange, the design-build contractor came up with an unusual design for the $24.3 million project. The interchange, located at I-75 and University Drive in Auburn Hills, was selected for a design-build contract after cracks were discovered in the beams of the former University Drive bridge in January 2014. After closing the bridge for three days to install temporary supports, the Michigan DOT chose design-build procurement as the fastest method to deliver the project. A DDI was selected over typical interchanges such as a partial cloverleaf or a traditional diamond because of successful applications in other states, where DDIs have been used to reduce crashes and improve capacity while having a smaller footprint. The Michigan DOT estimated a savings of $10 million in right-of-way costs with a DDI over upgrading the original partial cloverleaf interchange to current design standards. 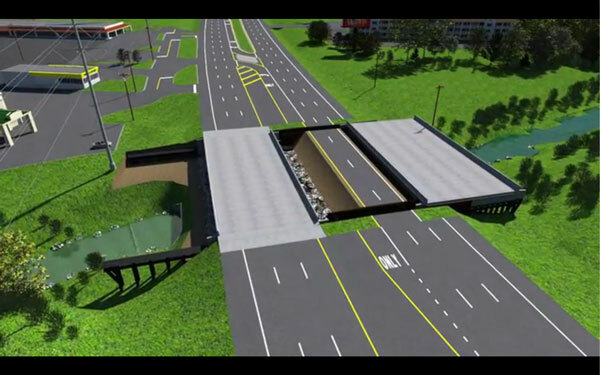 “A unique aspect of this interchange presented an interesting design challenge,” said Robert Fijol, area engineer in FHWA’s Michigan Division. Existing national design guidance on DDIs assumes the crossing angle of the DDI bridge will be in alignment with the cross street, typically 45 to 90 degrees. The existing University Drive crossed over I-75 at about 45 degrees. After studying the issue, the design-build contractor proposed an unusual 63.25-degree crossing angle—a 25.75-degree skew—for University Drive over I-75. This resulted in a shorter crossing length for the new bridge, which reduced construction and long-term maintenance costs by 2 percent each. The 63.25-degree crossing angle for the DDI raised safety concerns because of the additional curvature entering and exiting the DDI, said Fijol. These concerns were mitigated using a 30 to 25 miles-per-hour design speed and 14- to 15-foot lane widths through the curves. The DDI opened to traffic last November and will be complete this spring. “So far, this unique DDI desig n appears to be successful,” Fijol said. Read Diverging Diamond Interchange Informational Guide for guidance on planning and designing DDIs. Contact Mark Doctor of the FHWA Resource Center for information and technical assistance. Participating in a Virginia stakeholder partnering group helps the city of Harrisonburg better serve its citizens, Public Works Director James Baker has found. Part of the Every Day Counts initiative since 2012, stakeholder partnering brings local agency representatives together with state and federal colleagues to increase program compliance and streamline the project delivery process under the Federal-Aid Highway Program. Stakeholder partnering on local projects is now an institutionalized practice in 17 states, according to the Federal Highway Administration’s latest report on EDC-3 progress. Another five states are making progress on their efforts to establish stakeholder partnering groups. “Stakeholder partnering is about establishing new lines of communication so that we can operate more efficiently and effectively,” said Michael Smith, FHWA project management engineer and a leader of the EDC-3 Stakeholder Partnering Innovation Deployment Team. Ohio’s Local Public Agency Advisory Group provides a forum to discuss delivery of local transportation projects. Local agencies own about 75 percent of all roads and more than half of the nation’s bridges. About 20 percent of the Federal-Aid Highway Program budget goes to fund local projects. Partnering has been used to improve delivery of local transportation projects since the late 1980s. “We want to take that same model of success and apply it at the programmatic level to streamline and improve the delivery of Federal-Aid projects in local public agency programs,” Smith said. One challenge of promoting stakeholder partnering under EDC is ensuring people understand what it is, said Smith. “Many states are doing a lot of great work with their locals, such as developing local public agency manuals, training and certification programs. However, this is not stakeholder partnering as we define it under EDC,” he said. 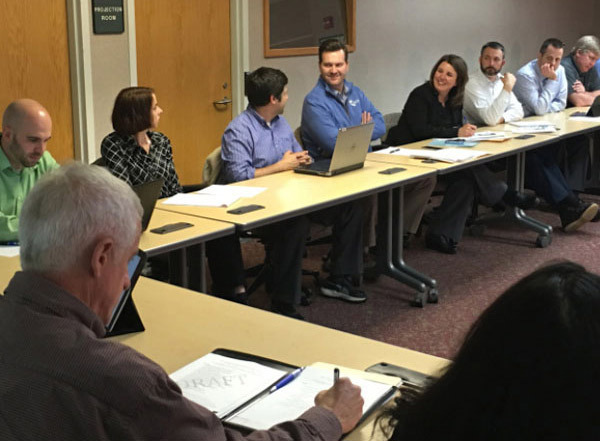 In Ohio, the Local Public Agency Advisory Group meets twice a year to discuss topics such as the project development process, construction administration and right-of-way issues. In addition to enhancing communication among agencies, the Local Public Agency Advisory Group taps members’ expertise to guide policy and program initiatives. The group helped gain acceptance of and compliance with the Ohio DOT’s local public agency qualification process and developed documents to streamline local project planning. The Virginia Department of Transportation’s stakeholder partnering effort incorporates several groups associated with local programs, including the Urban Construction Initiative Group Harrisonburg participates in and the newer Local Stakeholder Partnering Group. The department uses partnering groups as a proving ground for developing innovative approaches and testing streamlining measures. “The groups have been a highly effective sounding board and helped us align our goals with stakeholders’ needs,” Halacy said. Participating in partnering efforts gives cities like Harrisonburg a voice, said Baker. “Our challenges and concerns are taken into consideration as changes to state and federal policies are being considered,” he said. It also offers opportunities to share ideas and learn from others, he said. The state’s annual Local Programs Workshop, for example, enables agency and industry participants to attend sessions on topics such as program management and project development. “The workshop provides a great opportunity for localities to not only learn through the training classes, but to network with other localities,” Baker said. See the Stakeholder Partnering Resource Library for information on developing stakeholder partnering efforts and enhancing Federal-Aid Highway Program project delivery processes. Watch the Stakeholder Partnering for Success EDC Exchange webinar for state and local perspectives on partnering benefits. View Stakeholder Partnering, part of the Federal-Aid Essentials collection of informational videos for local agencies. Get more information and technical assistance from Michael Smith of the FHWA Resource Center or Robert Wright of the FHWA Office of Infrastructure. State Transportation Innovation Council Incentive funds are helping states mainstream innovations from accelerated bridge construction to 3D modeling to geospatial data collaboration. Now in its third year, the Federal Highway Administration’s STIC Incentive program offers up to $100,000 per STIC per year to support the costs of standardizing innovative practices in a state transportation department or other public sector STIC stakeholder. The Maine Department of Transportation applied STIC Incentive funds to a project to create a Traffic Incident Management Exchange that integrates its 511 advanced transportation management system with the Maine Department of Public Safety’s computer-aided dispatch system. The exchange is designed to use an automated process to convey incident location data from the dispatch system to the 511 system, circumventing the need to rely exclusively on human communication systems. That’s expected to decrease traffic incident response and clearance times and enhance responder safety and travel reliability. STIC Incentive funds helped the Mississippi Department of Transportation craft guidelines for using accelerated bridge construction technologies. The guidelines provide a step-by-step process for determining whether projects are suitable for accelerated bridge construction. In the guidelines, the Mississippi DOT weighs the strengths and weaknesses of standard practices while incorporating innovative ways to strengthen the state’s transportation infrastructure. The guidelines also outline lessons learned on accelerated bridge construction projects. The Montana Department of Transportation used STIC Incentive funds to conduct a design workflow study and develop an implementation plan to transition from a workflow that uses two-dimensional plans to one that uses 3D engineered models. The agency also updated its preconstruction and project delivery processes to 3D, enabling the state to use automated machine guidance on construction projects. In creating its 3D implementation plan, the Montana DOT used best practices from other states that have moved from 2D to 3D processes. The agency credits the success of its 3D initiative to having an organizational change management plan in place. The initiative is expected to save money and improve safety and quality. The New Hampshire Department of Transportation developed a state historic architectural and archeological resource database with its STIC funds. The database serves as a management tool for projects that involve resources covered by Section 106 of the National Historic Preservation Act. The agency expects the database to improve on the current process by serving as a central repository for project documents related to architectural and archaeological resources. The database makes it easier to review project status and allows quick and efficient reporting of project findings. The Wyoming Department of Transportation used STIC funds advance a geospatial data collaboration effort. The agency built a database to use in developing a monitoring system for managing county paved roads, many of which were not built to withstand today’s heavier loads. The online database allows users to share data, visualize information and create maps. The pavement monitoring system provides information on road conditions and treatment options so stakeholders can make informed decisions on maintenance, repair and rehabilitation strategies. The Wyoming DOT highlighted the need for agencies to collaborate on investing in the system, and counties across the state are pooling their resources to continue the effort. The Indiana Department of Transportation started work on a new interchange at I-69 and 106th Street in Hamilton County to increase safety and mobility. 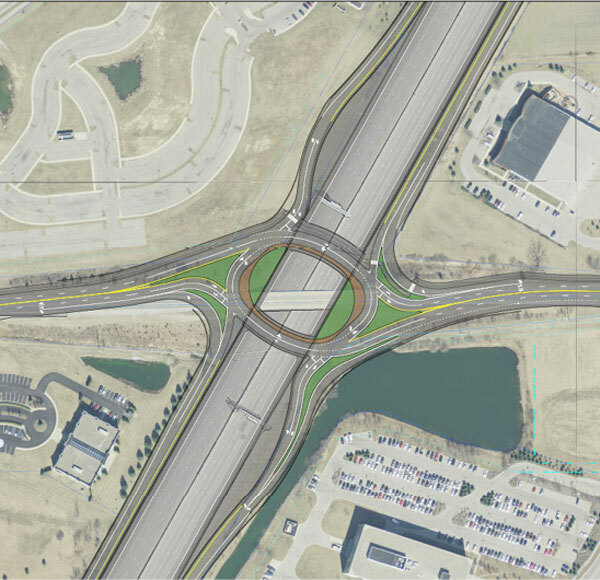 The interchange features a two-lane, oval-shaped roundabout on 106th Street over I-69 and ramps to and from both directions of the interstate. It includes two bridges and complements roundabout intersections on both sides of the interchange. The interchange is expected to open later this year. The Minnesota Department of Transportation and city of St. James are using an Accelerated Innovation Deployment Demonstration award to build two mini-roundabouts, the first on the state’s highway system. Part of the Highway 4 reconstruction project, the mini-roundabouts replace two signalized intersections. An educational video explains how to drive on the mini-roundabouts, which offer the safety benefits of regular roundabouts in a smaller footprint. Portland, Oregon’s, new Sellwood Bridge is open to traffic. 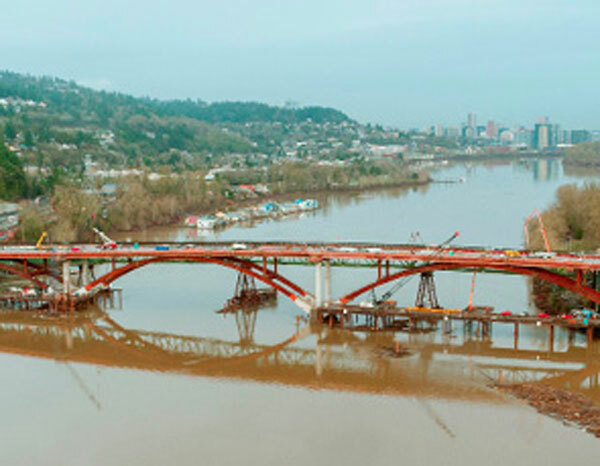 The Multnomah County project to replace a 90-year-old bridge over the Willamette River showcased the use of accelerated bridge construction and the construction manager/general contractor delivery method. The seismically sound structure offers upgraded facilities for all users, including drivers, bicyclists and pedestrians. The project received a U.S. Department of Transportation TIGER grant. 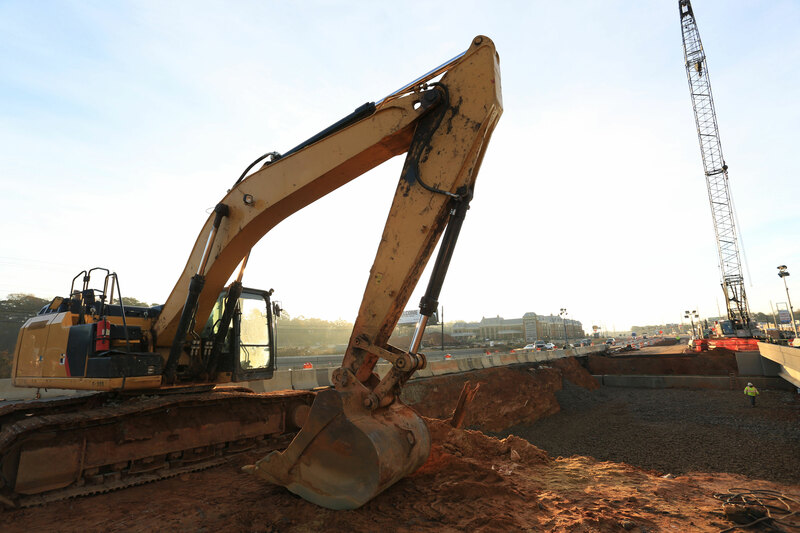 Work is underway on the I-85/I-385 Gateway project in Greenville, South Carolina. The project, being built with the design-build delivery method, is the second largest in the South Carolina Department of Transportation’s history. It’s designed to address operation and safety issues at the interchange by eliminating loop ramps, reducing weaving segments and constructing collector-distributor lanes. Completion is scheduled for spring 2019.